Color can be simple and complex. When you are printing with black ink, nothing is simple than it on other hand some colors are hard to match with your clients art work because there is no Pantone Color Code for that color. World of colors is colorful but little complex so lets explore world of colors. Colors can be found in lots of different models but there are three basic models. Digital: color as display by light. Print: color represented with ink. Perceptual: color as perceived by the human eye. The color spectrum human eye can interpret is little different than what can be presented in digital and print color models. Also its different from person to person. Perceptual color is often used to convert color between digital and print color models. This is regularly accomplished using ICC color profiles. Each printer different from other and it has different capabilities when mixing ink. Stock also play major role, same color turn out little different when its printed on coated vs. uncoated paper or different surface like plastic and so on eventhough you are using same printer.So how can you deal with this problem? RGB (digital): RGB stands for Red, Green, Blue and refers to the user of color generated by light. Not all representations of light are equal, and the way color appears from one digital device to the next can appear to be different. To really have consistent digital color, each device would need to be calibrated. RGB values will typically be represented with three digits between 0 and 255; though you will sometimes encounter three values between 0 and 1 in decimal form. 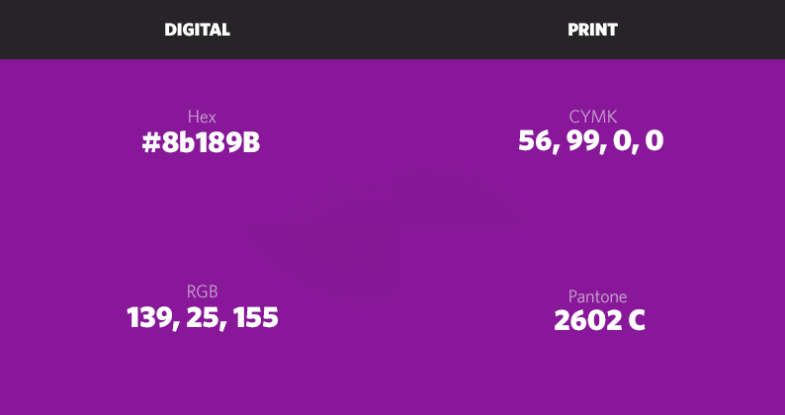 Hex (digital): Hexadecimal format is just another way of representing RGB values. Typically you will see Hex values starting with a hash (#) followed by either three or six alpha numeric characters ranging from 0-9 and a-f.
For example: #8b189B produces the above purple. CMYK (print): CMYK stands for Cyan, Magenta, Yellow and Key (black) and is the most common print color space. CMYK can be a bit inconsistent from device to device as the color is being blended at the time of print. Each printing device has different capabilities, so to achieve print perfection each device will need to be calibrated. CMYK values will typically be represented with four digits between 0-100; though you will sometimes encounter three values between 0 and 1 in decimal form. PANTONE (print): Is a proprietary color space used primarily in the printing industry but also has been used with manufacturing colored paint, plastics and fabric. When brands will be used in print, it’s a really good idea to select PANTONE colors. The main advantage of PANTONE over CMYK is PANTONE colors are premixed, where CMYK colors are mixed during print. Using PANTONE colors, a brand can maintain color consistency since PANTONE is always responsible for mixing the ink color. PANTONE color values can be represented in various ways, but typically start with either PMS or PANTONE and end in either C for Coated or U for Uncoated. For example: PANTONE 2602 C, is the ink code for the above purple. 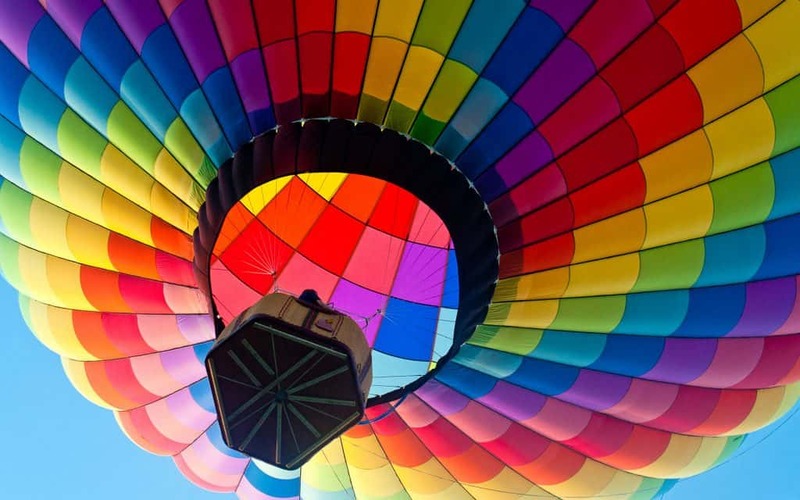 Color goes deep, but it’s a critical component of how a brand is recognized. With the information above you will be armed with the knowledge necessary to maintain color consistency as your brand is spread through various mediums.